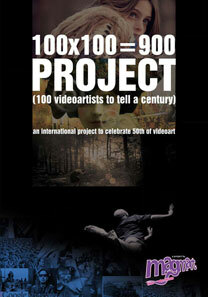 Videoartist is an annually festival take places in Iran. It also holds conference and exhibition in domestic and international level. Videoartist aims to create novel spaces to nurture video as an art form. It provides a platform for young artists to present their experiments, besides it is an opportunity for the well-known and pioneer video artists. The videoartist website tries to provide papers, thesis and all kind of information related to video art and make a progressive space for artists to exchange their ideas and art works. Video artist will hold the 100x100 in conjunction with two of its partners Takesh gallery in Isfahan and Raf gallery in Tehran.